EAST Cornwall Harriers managed to hold off a final leg challenge from City of Plymouth to take the men’s Tavistock Relays title. A great finish to the popular event saw Plymouth’s Matthew Bradley close a 10 second gap on East Cornwall’s Steve Sims. But Sims had saved enough to out-sprint Bradley on the final stretch and win by three seconds. East Cornwall finished the four lap 1.1 mile event in an impressive 20.48, with their lead runner Dan Nash coming home in 4.50 minutes. David Lobb and Lewis Pullen completed their team. 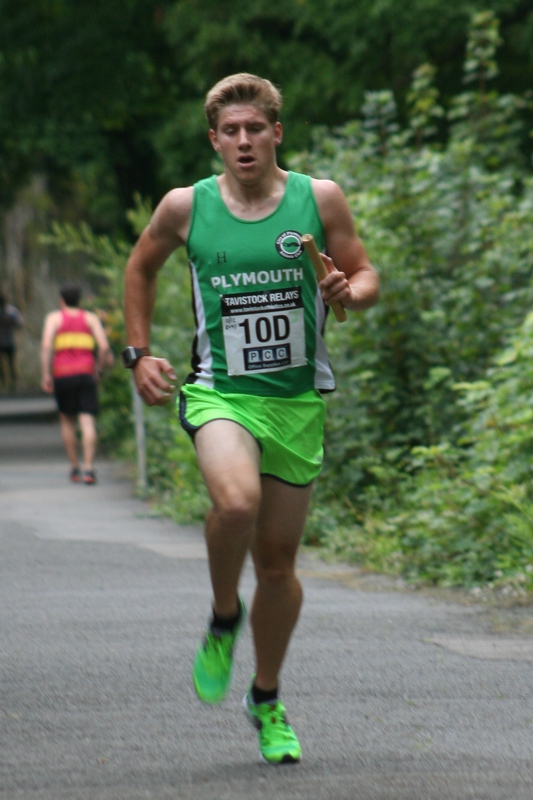 City of Plymouth’s fastest runner was David Weir, who clocked 4.57 on the first leg. Bradley was not far behind with a time of 5.06 minutes. Jordan Blair and James Blackford ran the second and third legs for them. 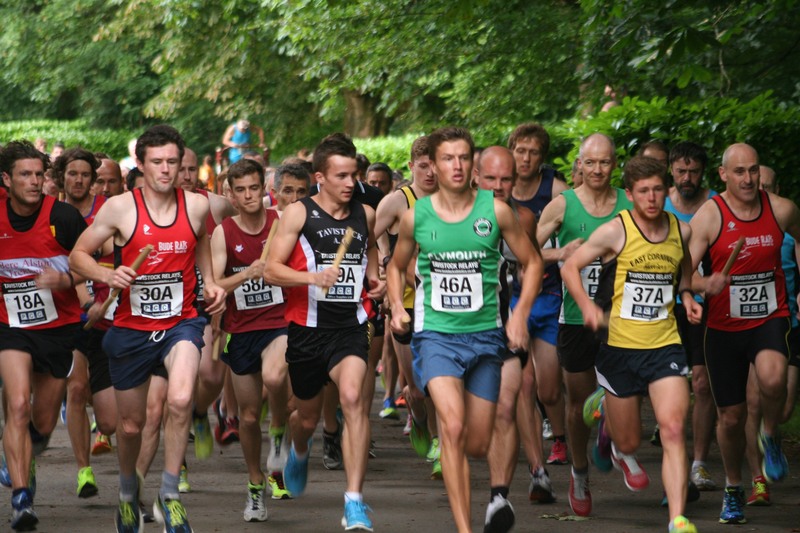 Plymouth Harriers’ team of Jordan Andrews, Tom Humphrey, David Beckenkrager and John Cooper, were third home in 21.34. However, their women came first in 25.50. The Plymouth Harriers winning women’s quartet was made up of Ami Yetton, Lizzie Coombes, Alicia Regan and Jane Allison. Host club Tavistock were second women’s team in 26.14, with City of Plymouth third in 27.40. City of Plymouth dominated the junior event. Their team of Tom Blackford, Jack Williams, Jamie Williams and Travis Bramley came home in 22.00, which was six minutes quicker than anyone else. Bramley (pictured), on the final leg, clocked their fastest time with 5.13. There was an impressive turnout at Meadows Park, with 79 teams – 11 junior – taking part. There was also a fun run before the relays that attracted more than 50 youngsters. Plymouth Musketeers, Tamar Trotters and Bere Alston Trekkers were particularly well represented on the night.